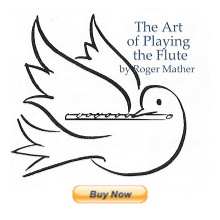 And are there between-lesson flutists out there who looking for practice inspiration over the summer? Great tunes? Great workouts? Great lift in the spirts? Then...get this book. And as a gig book for solo performances? Fantastico! You could play for two or three hours out of this book, just as solo material for any kind of gig! Sample page of Kulauh etude. Thank you very much Jennifer. You done a great job, i will surely own this book. it would be useful to who want study in Australia . I endorse Jen's comments wholeheartedly. This book contains the best of the studies, and is, without any doubt, great value for money for both the student and the teacher. It is particularly delightful to discover works such as Chicken Dance and I'm Hearing Voices (both by one of the editors, Christine Draeger), in amongst the Koehlers and the Demerssemans etc. This is fantastic! I spent my younger years studying flute in Australia, and high school and University years in the United States. Wish I'd had this!